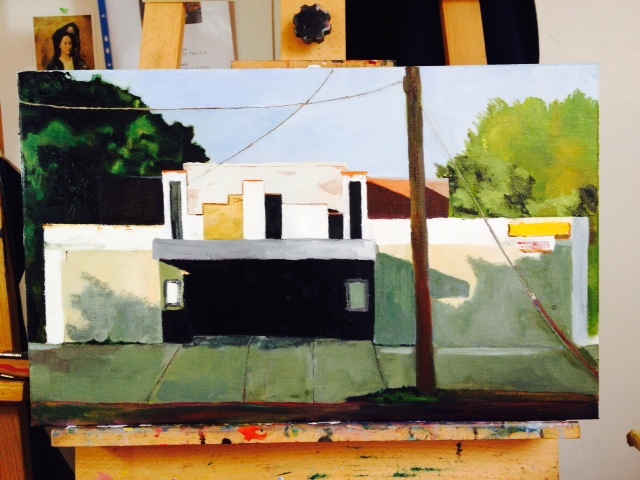 Above is an unfinished piece entitled FAIRMOUNT THEATER II, which I started in March. I present it here as an uncropped photo of the painting, so you can be sure it is unfinished. The first version of this theater was featured in my September 30, 2013 post. Click here to see it. With the recent school vacations and Holidays, life has been a bit hectic. We managed a short trip to visit good friends in Montpellier, France. Then continuing from there to Barcelona. On the way back, we stopped at Port Lligat, and the House Salvador Dalí, now a museum. Here is a photo of his studio. 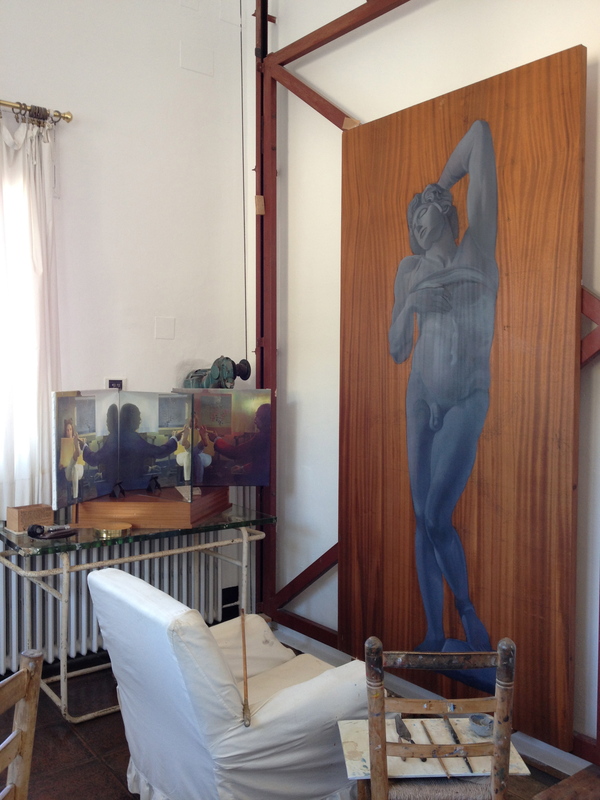 The painting on the easel is unfinished and is as he left it in 1982. He always painted seated. He devised a mechanized easel to raise and lower paintings automatically. There is a slot in the floor into which the painting would descend. 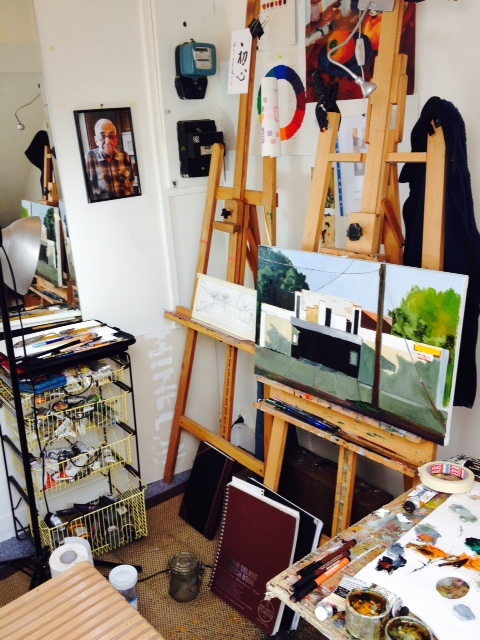 During the last couple of weeks I’ve been getting a lot of requests for studio visits! I’m happy to welcome anywone who will climb the six flights of stairs above my apartment… Just give me a chance to straighten up the place a bit. Here is a photo of a South-East corner of the studio. Congratulations on your move into the studio on the sixth floor! No need to exercise now…You will be exercising all you need climbing those stairs! Wish you the best in your new studion. Love the photo of your dad. Forever an inspiration!